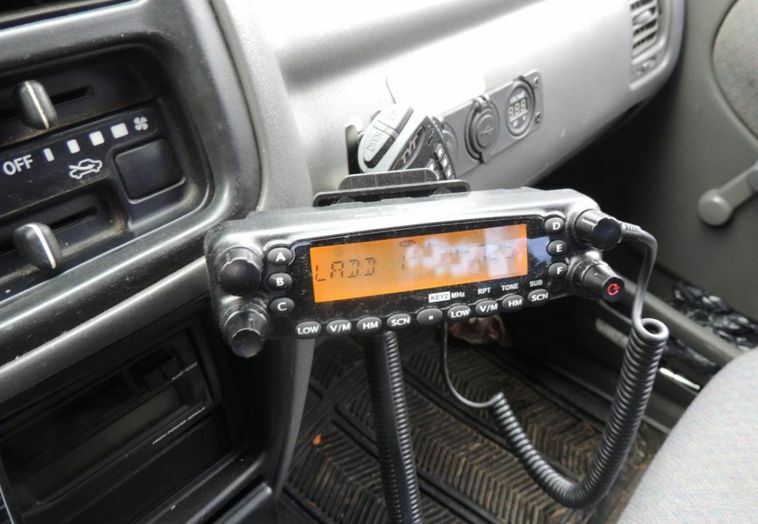 Commercial-grade 30 Watt FM radios are standard with most trucks and companies with commercial licenses through Innovation, Science and Economic Development Canada. VHF FM base and remote base stations (up to about 200 watts ERP) may be linked to dispatchers via UHF, ROIP, cellular data, microwave, or satellite. 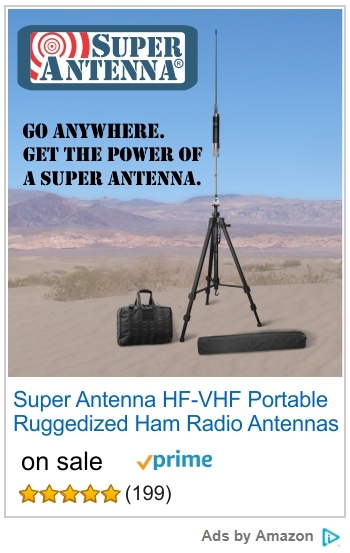 Mobile VHF radios commonly use power levels of 30 Watts (some using up to 200 Watts). Walkie Talkie Handheld Transceivers (HT) at 5 Watts are also very common in the field, especially on LADD1 and LADD2, or the Loading Channels. HTs with linear amplifiers are also utilized, especially by unlicensed users. For mobile operation, a half-wave, 5/8 wave whip, or colinear gain antenna is more efficient for long range communications. Quarterwave whips are also found on mobiles where durability and low profile are required. In emergency preparedness, the capability to monitor the frequencies in one’s area becomes an important factor for situational awareness. 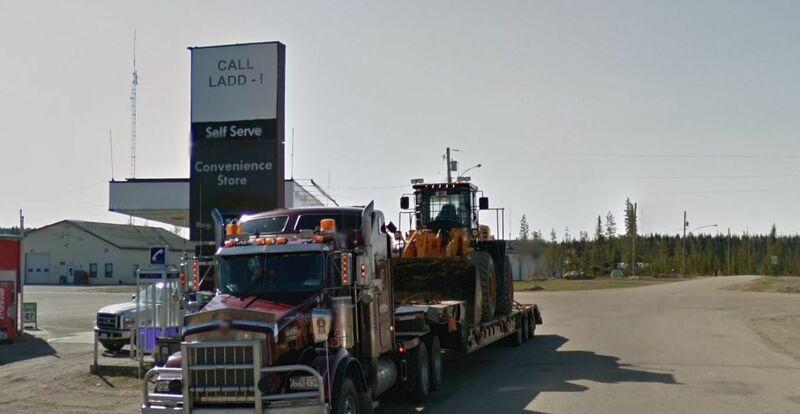 There are a variety of names for this VHF service, such as: LADD or LAD, Trucking Common, Ice Road, Resource Road, or Logging Common channels. Radio Controlled Roads may use LADD channels, Resource Road Channels, or other frequencies; they require vehicles to call out their kilometer positions, providing single lane collision avoidance advance notice to trucks. Many of the channels in the list are known as Resource Road channels (RR01-RR35), which originated in the late 20th century as hundreds of company frequency assignments for specific forestry, mining, oil, logging, or ice roads (such as Ice Road Truckers). They are still utilized for this purpose, but the frequencies also see a lot of unlicensed activity by other travelers in the same areas and roads. A new process of Radio Protocol is going on, with new assignments of specific RR channels (RR01-RR35 and LD1-LD5) to the roads and areas across the landscape. There are hundreds of channels, and it is difficult to keep track of all of them for the backroads in obscure remote areas. Check local Channel Assignment Maps, forest maps and local knowledge for which channels you should be using on specific backroads. Tone squelch (CTCSS or PL) tones are often company-specific or road-specific, but tones are not utilized as much by common users due to incompatibility. Without tones, good old carrier squelch (tone=OFF) is the standard method. LOAD or LD channels (LD1-LD5) are common for loading trucks or working channels. Digital voice and data (DMR, MDS, etc) is also heard. Many of the channels have nicknames that describe the specific road or route. 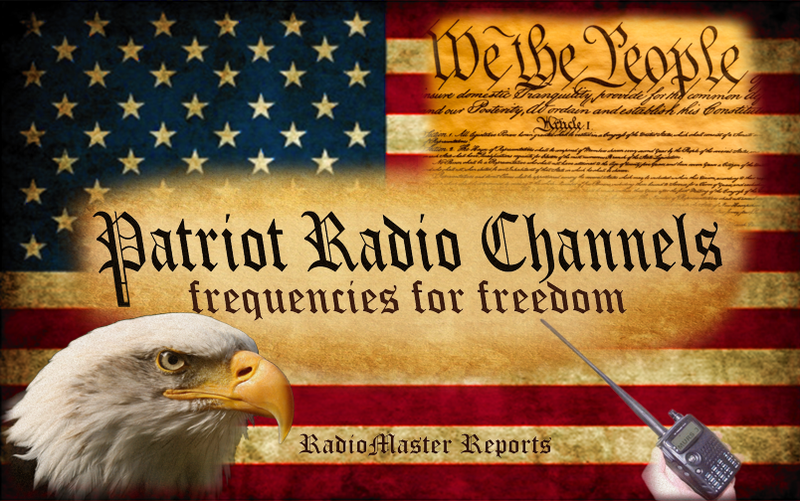 For legacy compatibility, LADD1-LADD4 channels use normal FM (FM is +/-5 kHz deviation, bandwidth 16 kHz, max bandwidth 20 kHz), while most of the other channels increasingly use Narrow NFM (NBFM is +/-2.5 kHz deviation, bandwidth 11 kHz, max bandwidth 11.25 kHz). 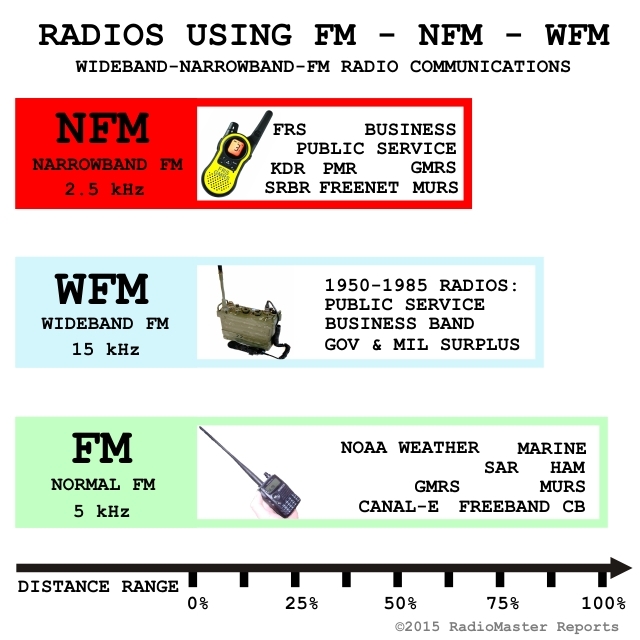 Normal FM has slightly longer range than Narrow FM (see the RadioMaster article FM versus NFM for Best Radio Communications). If you are using NFM and reception is loud and distorted, try FM instead. 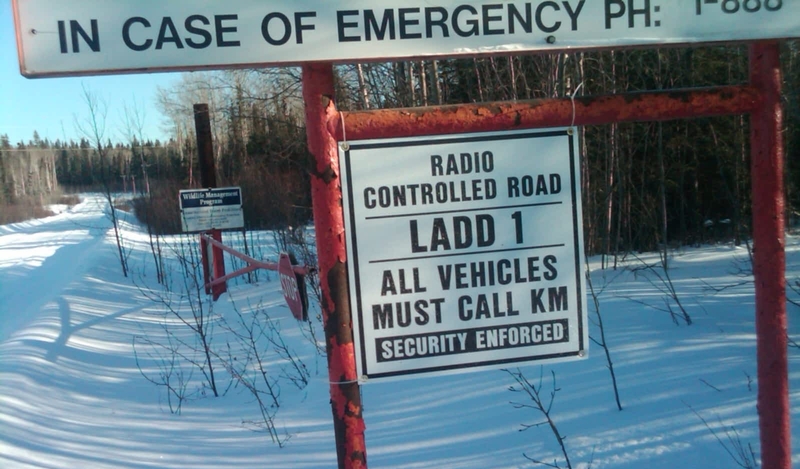 When entering onto a Radio Controlled Road system in Canada, use the radio frequency posted on the road sign. Switch channels when you see a posted road frequency change sign. On Radio Assisted Roads, be alert for oncoming vehicles without radios. On a Radio Controlled Road, all vehicles should call on the posted frequency when entering and leaving a road system. 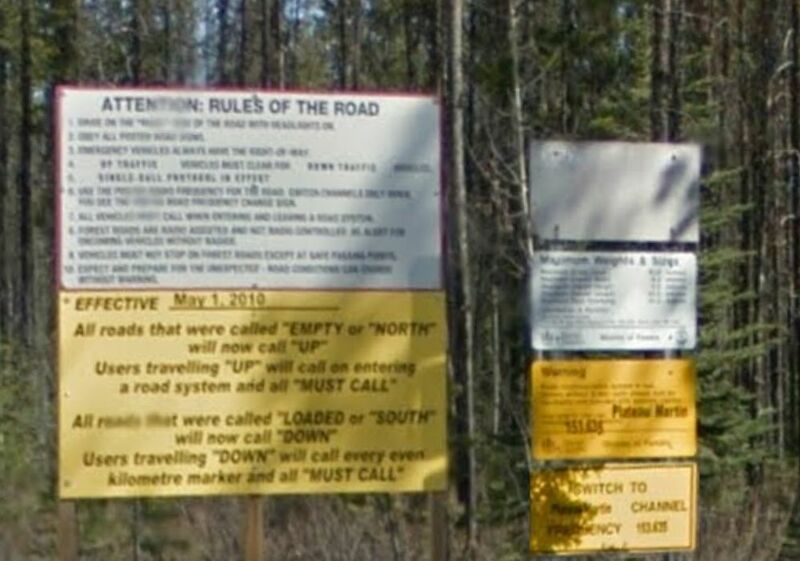 Call out all posted kilometer signs, or call as otherwise posted on the sign at the entrance of a controlled road system. Traffic calls “Up x km” when traveling in the direction of increasing number of kilometers, “Down x km” for decreasing kilometers, “Both Ways at x km” when meeting oncoming traffic. Call out if you meet a vehicle on the road that doesn’t have a radio. If you are involved in long-winded radio conversation, pull off the road in a safe spot and continue talking on another channel. Drivers should remain on the appropriate road channel while in motion on a Radio Controlled Road. The LADD list is a work-in-progress. 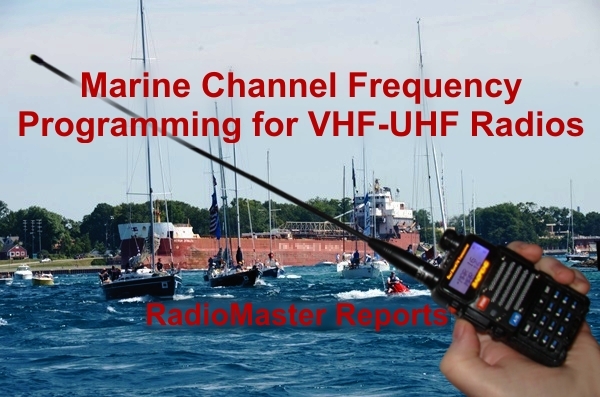 There are hundreds of Canadian VHF channels. The process of research and verification is not yet complete. Corrections, additions and feedback are welcome in the comments section below. A Chirp csv file will be posted after the corrected list has been sufficiently updated and checked. The common logging radio frequencies listed in the table below may be used in the authorized areas and in areas north of 51 degrees latitude in Ontario. 1 150.290 The districts of Thunder Bay and Sudbury; part of the District of Algoma, south of the CN Rail line. 2 159.270 East of Nipigon, north of Wawa, Chapleau, Watershed and west of Matheson and Elk Lake. 3 163.980 The districts of Cochrane, Algoma, Sudbury, Timiskaming, Nipissing, Manitoulin and Parry Sound; part of the District of Kenora, north of Red Lake; Highway 17 extending east to Pembroke, north of Highway 60 and all of Algonquin Park. 4 165.180 The districts of Kenora, Thunder Bay and west of Wawa and Hearst, except 50 km radius of Red Lake. 5 170.250 Sudbury, South on Highway 69 to Parry Sound; Sudbury, east on Highway 17 to Pembroke; north of Highway 60, all of Algonquin Park and north of Highway 141. 6 170.310 The districts of Kenora, Rainy River and Thunder Bay. 7 171.000 The districts of Kenora, Rainy River, Thunder Bay and west of Highway 129, Chapleau and Hearst. 8 172.065 The districts of Kenora, Rainy River, Thunder Bay, Algoma and Cochrane; part of the District of Sudbury, north of Cartier and Capreol, except the 50 km radius of Red Lake. 153.050 153.050 Licensed mobiles. Alberta, Saskatchewan, Manitoba, Northwest Territories and Nunavut only. Excluding a 90 km radius of Strathmore, Alberta. 154.100 154.100 Licensed mobiles. British Columbia, Alberta, Yukon, Northwest Territories and Nunavut only. Excluding Greater Vancouver, Fraser Valley west of Hope, Vancouver Island south of Nanaimo, British Columbia, south of 53°30’00” latitude (i.e. south of Edmonton) and 100 km radius of Bonnyville, Alberta (LAD-1). 154.325 154.325 Licensed mobiles. British Columbia, Yukon, Northwest Territories and Nunavut only. Excluding Greater Vancouver, Fraser Valley west of Hope and Vancouver Island south of Nanaimo, British Columbia (LAD-3). 158.940 158.940 Licensed mobiles. British Columbia, Yukon, Northwest Territories and Nunavut only (LAD-2). 162.210 162.210 Licensed mobiles. Alberta, Northwest Territories and Nunavut only. Excluding a 50 km radius of Crossfield, Alberta. 163.050 163.050 Licensed mobiles. Alberta, Saskatchewan and Manitoba only. Excluding north of 53°00’00” latitude and east of 104°00’00” longitude in Saskatchewan. 165.480 165.480 Licensed mobiles. Alberta, Saskatchewan and Manitoba only. 166.620 166.620 Licensed mobiles. Alberta and Saskatchewan only. Excluding south of 50°00’00” latitude, a 50 km radius of Calgary, Alberta, a 50 km radius of Magrath, Alberta, a 110 km radius of Wiseton, Saskatchewan and a 110 km radius of Fillmore, Saskatchewan. 168.120 168.120 Licensed mobiles. Alberta only. Excluding a 50 km radius of Lake Louise, Alberta. 173.370 173.370 Licensed mobiles. British Columbia, Alberta, Saskatchewan, Yukon, Northwest Territories and Nunavut only. Excluding a 50 km radius of Saskatoon, Saskatchewan and a 50 km radius of Margo, Saskatchewan (LAD‑4). Transmit and receive frequencies correspond to the base/repeater station frequencies. Mobile radio frequencies must be programmed on the repeater’s inverse frequencies. 54º 00′ 00″ Lat. N. to 57º 00′ 00″ Lat. N.
54º 00′ 00″ Lat. N. to 55º 00′ 00″ Lat. N.
56º 50′ 00″ Lat. N. to 57º 15′ 00″ Lat. N.
111º 45′ 00″ Long. W. to 112º 00′ 00″ Long. W.
57º 30′ 00″ Lat. N. to 57º 45′ 00″ Lat. N.
111º 30′ 00″ Long. W. to 111º 50′ 00″ Long. W.
53º 30′ 00″ Lat. N. to 55º 50′ 00″ Lat. N.
162.210 162.210 Licensed mobiles, Alberta, Northwest Territories and Nunavut only. Excluding a 50 km radius of Crossfield, Alberta. 163.830 163.830 11K0F3EJN 30 Gold Primary fire suppression along the Coast except for Vancouver Island and for the Northern Interior (Rupert) and Southern Interior (Cariboo and Nelson) forest regions. 163.890 163.890 11K0F3EJN 30 Silver Primary fire suppression in the Southern Interior (Kamloops), Northern Interior (Prince George) and Vancouver Island forest regions. 164.910 164.910 11K0F3EJN 30 Copper Secondary fire suppression for the province. 159.270 159.270 11K0F3EJN 30 Nickel Secondary fire suppression for the province. 163.980 163.980 11K0F3EJN 30 Bronze Secondary fire suppression for the province. Used within 200 km of Williams Lake for aircraft check-in. LD-2 151.745 Not to be used within 64 km of the Southern British Columbia border, within 50 km of Ketchikan, Alaska, or within 200 km of Juneau, Alaska. This entry was posted in MURS, radio programming, Survivalist Prepper Communications, VHF and tagged 10 channels, canada, canada MURS, canadian MURS, Channels, common, ice road, ladd, ladd1, resource road, trucker, VHF. Bookmark the permalink. The lists shown do not reflect recent changes to allocations by Spectrum Management Canada. I strongly suggest you update your records to reflect only those frequencies legal to the general trucking industry and the legal areas of operation (Western and Northern Canada only). Other lists exist subject to the legal appendix reference posted by Spectrum Management with respect of frequencies and specific restrictions. All frequencies in the commercial band require an authorized radio license. Thank you for your suggestions. It is a work in progress. Some areas have been recently updated.